Trying to include more vegetables into your diet? Try beets! To some people, the thought of eating beets isn’t the most appealing vegetable to offer up. Many people write off cooking with beetroots because of their capacity to stain surfaces and the difficulty to pair them with other foods. Beets provide a unique earthy flavor whose accents compliment other herbs and spices that many wouldn’t think to combine. Beets work wonders for irregular digestive flows due to the copious amounts of fiber and healthy sugars that are found naturally within. Beets are known to help lower blood pressure, combat inflammation, detoxify blood, and increase body stamina; everybody wants these things. This recipe is simple. Add thyme and peppercorn to your liking. The more of this that you add, the more flavor to the dish. 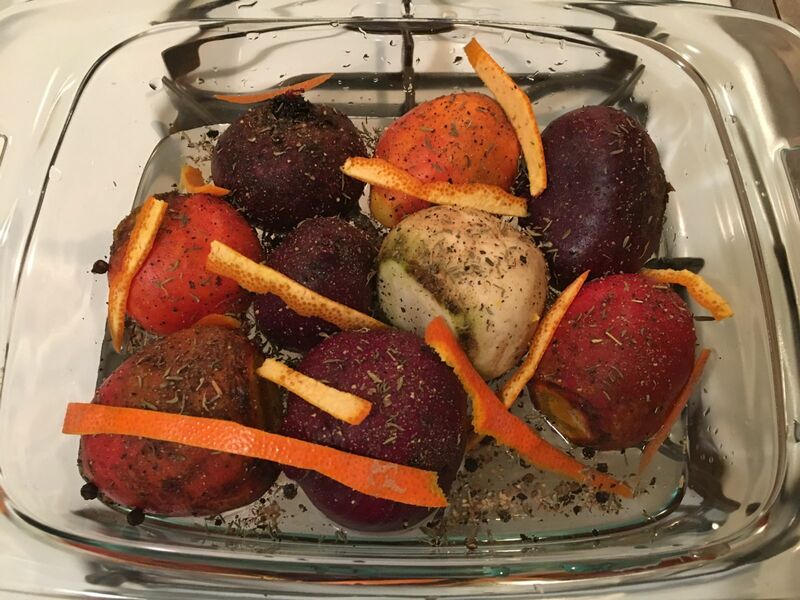 After removing beets, peel the skin off and enjoy!